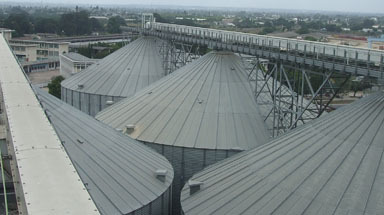 These five 25 metre diameter by 25 ring silos are the largest steel grain storage silos in the port of Dar es Salaam. 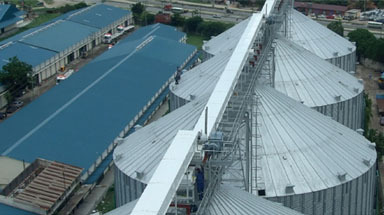 They tower 37 metres above ground and can clearly be seen when landing at the international airport. 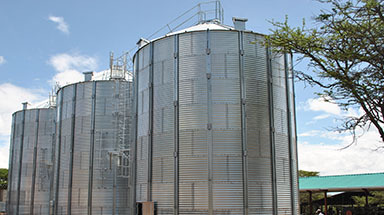 Each silo has a cubic volume of 15,500M3 give a storage capacity of over 12,000 tonnes of wheat. 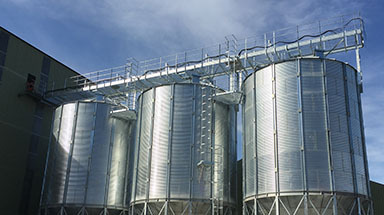 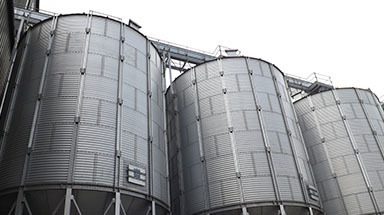 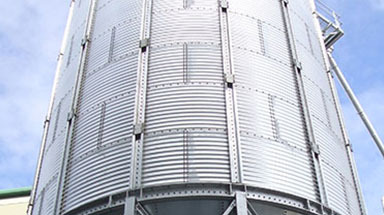 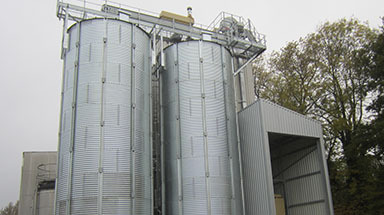 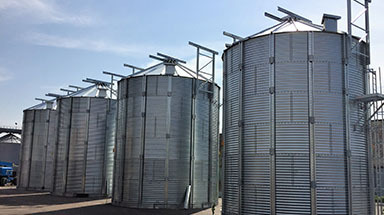 The silos were fitted with high capacity sweep augers; not only do they have to trim the silos at a high rate but also need to allow the very high gravity discharge rate. 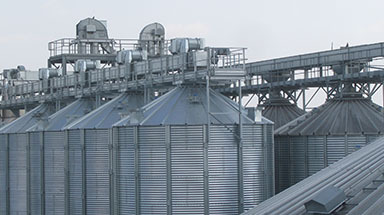 The catwalks are 2.5 metres wide, specially engineered to take the high loads from the 1,200 tph conveyors feeding them. 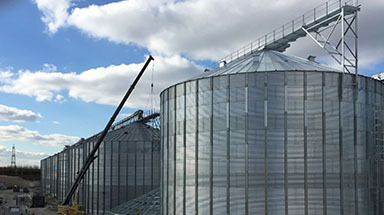 The piggy-backed conveyers are so large that we added a conveyor drive access platform 2 metres above the main catwalk.